Nicole Pirie is the student of the month for October 2013. Nicole started training in June of 2012. 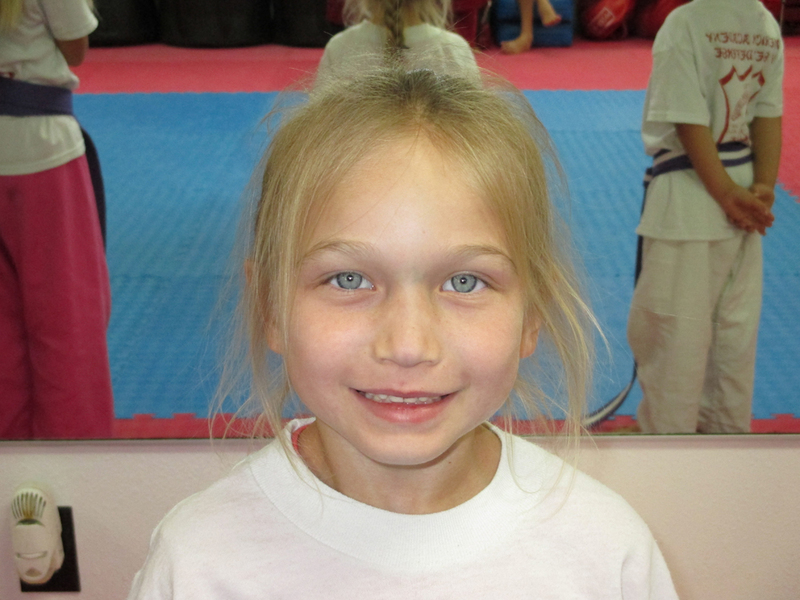 A current Purple Belt Nicole has demonstrated knowledge far beyond her years. After watching her older sister Alexis, Nicole just couldn’t wait to get started. Always putting out 100% and then some Nicole as set an example that others can only wish they could emulate. Among the many aspects of martial arts training Nicole especially likes learning new forms. Sifu Rick and staff are amazed , how Nicole picks up the material for some one so young. Sifu Rick & Staff would like to thank Nicole’s parents Jon and Luanne for all their support of not only Nicole and her sister Alexis, but of our Black Belt school as well. Long ago, Native Americans and the early colonists had many uses for the bright, orange, round fruit that is popular in the fall. Native Americans dried strips of pumpkin and wove them into mats. They also roasted long strips of pumpkin on the open fire and ate them. The origin of pumpkin pie occurred when the colonists sliced off the pumpkin top, removed the seeds, and filled the insides with milk, spices and honey, which was then baked in hot ashes. Ever have one of those days when your martial arts instructor happily shouts, “Just five more push-ups and then we’ll hit the bags!”? Your inner voice shouts back, “Mutiny!” You can depend on your instructor pushing you to your limits, and, occasionally, you can depend on your body fighting back. When you push the boundaries that challenge you, mental exercises can keep you on track and out of the quitter’s circle. I want to feel safer. I want to lose weight or get toned. I want to earn the next belt rank. I want to look good in my bathing suit. I want to pass my next physical with flying colors. I AM achieving my goals. I AM bringing down my blood pressure. Visualize buying a new uniform a size smaller. 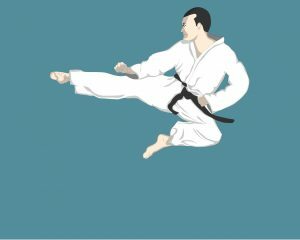 Visualize earning your black belt. Visualize getting away from an attacker. I only have four more push-ups to go, etc. One more minute and I can stop. Begin with 100 and count backwards by 3’s. Find a solution to a problem that’s been bothering you. that begins with each letter. You can always quit, but it’s more fun and challenging to come up with ways to push past that “I don’t want to go on” feeling. How many more ways can you name? Metabolism – What’s it all About? As we approach the eating season (Thanksgiving to New Year’s), it is best to start a healthy eating regime early to counterattack any bad days you may have during the holidays. Here are some tips to stay heart healthy. non-hydrogenated margarine made from these oils. Get as much variety in your diet as possible. Choose plenty of whole grains and colorful fruits and vegetables more often as snacks. Try to get at least 30 minutes of moderately intense physical activity almost every day to maintain good health and to reduce the risk of developing heart disease. Choose activities you enjoy, such as walking, gardening, martial arts or swimming, and incorporate them into your daily routine. Every step counts! Take action to maintain a healthy weight. People who accumulate weight around their waist (“apple” shape) are at greater risk of heart disease than those who carry weight around their hips (“pear” shape). Your physician or registered dietitian can tell you what is a healthy weight and waist measurement for your body. Did you know that within one year of stopping smoking, your odds of developing heart disease could be cut in half? See your doctor for techniques to quit smoking. Stress can interfere with healthy habits such as exercising and eating well. Ensure that you have a range of stress-busting activities that work for you. These might include exercising, listening to soothing music, talking to someone you trust or simply having a good laugh with a friend. 7. Manage your blood pressure. To get an accurate blood pressure reading, your doctor should evaluate your readings based on the average of two or more blood pressure readings taken while you are seated. If you have other health concerns, your doctor may be more aggressive in the treatment of your blood pressure reading.